LGA Blog - Page 2 of 7 - Lauren Green Agency LLC. If it’s Tuesday then it must be time for…#QuickTipTuesday! This week, we’re talking about how to maintain your relationship with your lovely agents! If you know that you won’t be in town for more than a few days, kindly let your agents know so that they don’t book you for something while you’re busy! Let them know well in advance (at least a week before, not the day before) if the bookout is long. You don’t need to get new shots every 3 months, but if you do get new headshots email the pictures to your agent so they can have a look! Calling/emailing your agent to say hi and updating them on what you’re doing lets them know that you’re still serious about working with the agency! It’s also a great way to make sure that you and your agent are on the same page. Pro tip: This is a once in a while thing, every couple of months or so, not a daily newsletter on what you ate for breakfast. Maintaining a good relationship with an agent is important, and it goes both ways whether you are signed or freelance. That’s it for this week’s #QuickTipTuesday! See you next week! Wordy Wednesday #5: The ABC’s of Model-Actor Resources! Welcome to another Wordy Wednesday! Today, we’re defining the ABC’s of resources that actors and models have available to them online. These are key resources that can help you make connections within the industry. The 3 websites below are important sites that can help you get work as an actor or model. Pro tip: Remember to credit your agency when you self-submit, so your agent stays in the loop! https://laurengreenagency.com/wp-content/uploads/2016/05/Lauren-Green-Agency-logo.png 0 0 lauren https://laurengreenagency.com/wp-content/uploads/2016/05/Lauren-Green-Agency-logo.png lauren2016-08-17 13:15:152016-08-17 16:55:55Wordy Wednesday #5: The ABC's of Model-Actor Resources! It’s #FLASHbackFriday! 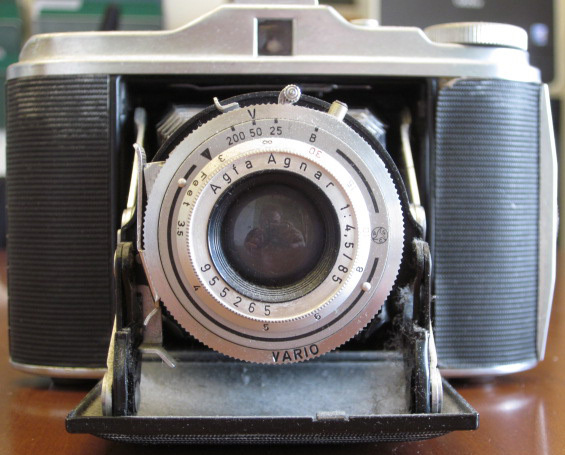 Today, we’re highlighting this gorgeous 1950 Agfa Agnar Isolette V camera! Fun fact: this camera was first introduced as the Isorette camera until the name changed to Isolette! #fbf #cameras Happy Friday! https://laurengreenagency.com/wp-content/uploads/2016/05/Lauren-Green-Agency-logo.png 0 0 lauren https://laurengreenagency.com/wp-content/uploads/2016/05/Lauren-Green-Agency-logo.png lauren2016-08-12 16:44:372016-08-17 16:56:11FLASHback Friday!